Two staff members and four volunteers from Compassionate Action for Animals (CAA) traveled to Washington D.C. earlier this month for the Animal Rights National Conference. Over the course of four days, we got to experience all that this annual conference has to offer, including a variety of inspiring presentations, lots of delicious vegan food, dozens of exhibitors, and the opportunity to network with others who advocate for animals. As CAA’s Executive Director, I gave a talk about how to plan a veg fest. Referring to our guide to plan a festival, I showed others how they can start a festival in their own city. I also helped organize a lunch for veg fest planners from around the continent. Dozens of festivals were represented, and we were able to share our experiences so that we can improve the quality of festivals everywhere. We’re undertaking this collaboration to ensure that our own Twin Cities Veg Fest can have the biggest impact for the animals. It’s also great to share what we’ve learned, to help other festivals overcome their obstacles. 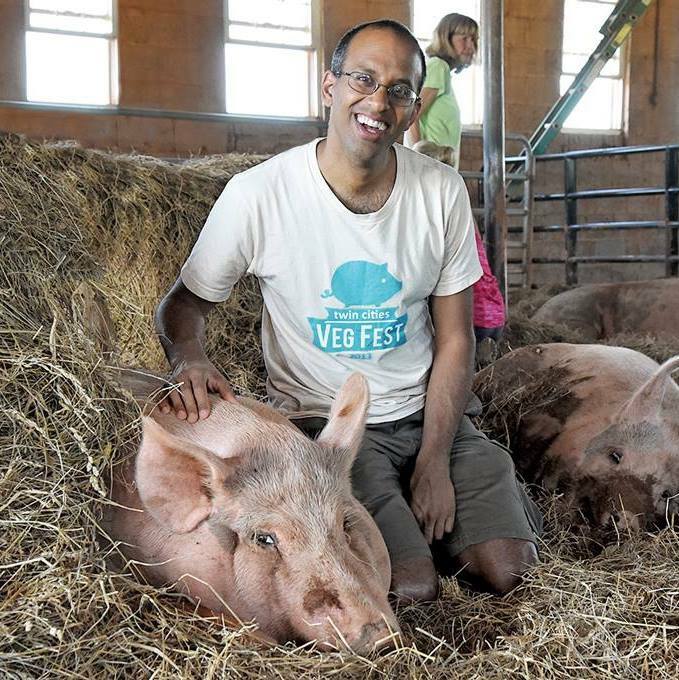 Collectively, these festivals can make a big difference for animals, reaching hundreds of thousands of people and showing them how fun and meaningful compassionate living can be. CAA volunteer and co-founder Dave Rolsky gave a talk about how to use collaborative technology to run an animal advocacy organization. Dave is a professional software developer, and his experience includes making user-friendly websites. He’s an expert on the variety of simple and useful online tools to get our work done, and he was able to share his technical know-how at the conference. While our participation in the conference was exciting, so was witnessing the state of the Animal Rights movement. This year’s conference was the largest one yet, with more than 1,600 attendees. It’s also exciting to see how strategic, results-oriented farmed animal advocacy organizations are growing, and we were able to develop meaningful relationships with activists around the country that will help us do our work. These activists are creating videos about factory farming, publishing leaflets, and conducting research on how to make our movement more effective. Following the conference, I took a trip to Poplar Spring Animal Sanctuary where I got to spend the day meeting rescued animals. It was perhaps the most inspiring part of my trip, getting to see the life behind the eyes of these animals, my reason for being on this path and for speaking up for their right to be free. I’ve returned to Minnesota feeling motivated to bring what I’ve learned to our Twin Cities community, to strengthen our group, to get our message out there, and to make a difference for the animals that still need our help.